Give your garden a healthy start with heirlooms and other hard-to-find plants. More than 80 vendors of plants, herbal skin care products, garden art, and jewelry will be spread out over the historic village area of the site. Grab a bite from the food vendors or tour gardens run by the museum’s Heirloom Seed Project. Admission: Adults/$12, Senior/$10, Ages 6-11/$8, Ages 5 & Under/Free. 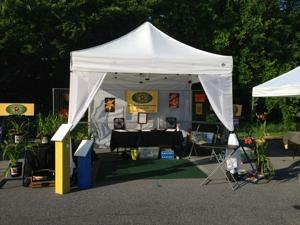 The market is an open air seasonal market located in the Lititz Springs Park! The heart of downtown Lititz on Thursday Evenings. Featuring a full variety of locally produced products sold in a festive setting and plenty of great food to try! 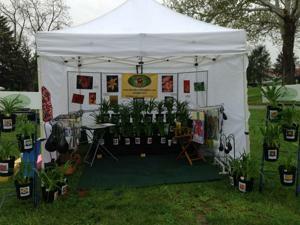 We will be selling potted daylilies locally grown in our garden. 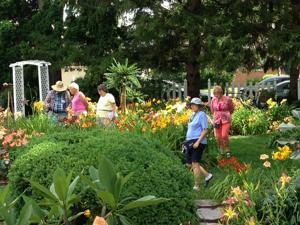 Our gardens are in peak bloom during the month of July - Open Garden Tours every Sunday in July from 9am - 4pm or by appointment. Evenings available by appointment during the months of May, June, July, & August or feel free to stop by if you see us in the garden...we love visitors! Potted daylilies are available for purchase. The month of May is a great time to plant daylilies in your garden so they will be blooming for your summer garden. 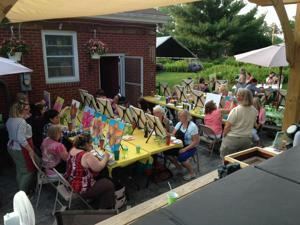 2019 "Art for Everyone" Fundraiser Painting Class in the Garden to benefit "A Week Away Foundation"
A Week away is a 501(c)(3) non-profit orginization whose mission is to finance and coordinate respite weeks for individuals and their loved ones who are dealing with a life-threatening illness -- enabling them to find the peace and energy needed to continue fighting their disease. Founded by Caleb Walker in 2014, A Week Away is comprised 100% of volunteers which means virtually every penny you donate goes toward supporting the families we serve. So far, 50 families have been able to participate in this much needed program and more are being scheduled for this year. That makes this a "50 Families" landmark, all in just (3) short years! Help us support this very worthy cause by signing up for our night of painting, music, wine and lot's of good fun in a beautiful setting!! A Week Away is designed to offer a respite to anyone, regardless of age, who is battling a life-threatening illness. This is a break; a chance to get away and feel normal -- not an item to check off your bucket list. It is a time to reset and recuperate however you deem necessary. We partner with each family to see them through their treatments -- we are here for you, long after your respite. There will be Sangia, Soda and light snacks provided but you are able to bring any other food or drinks that you would like to have during the class. There will also be live music playing during the class. July 8th 2019, Garden opens at 5pm, painting is from 6pm - 8pm and the garden will remain open until 9pm for those interested in seeing the lighted garden at night. To sign up: Details coming. This site has been accessed 1897570 times.